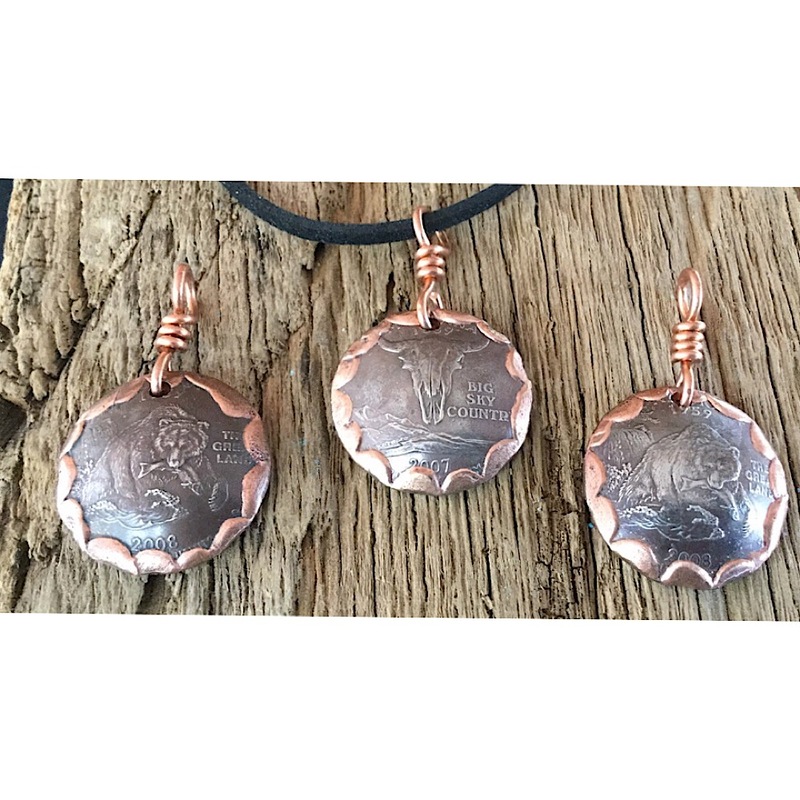 The new state quarters that have a pie crust copper edge on a black leather cord. State Quarter Necklace. 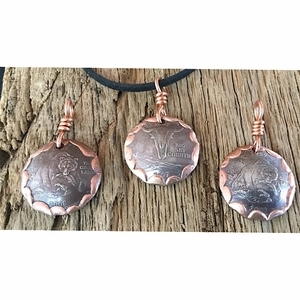 Bear Necklace, Bison Necklace, Quarter Necklace with Copper. The coin has been melted to bring out the copper alloy from the coin giving it a pie crust look. This handcrafted coin jewelry necklace is on a black leather cord tied in a slip knot for adjusting to desired length. Your state can be ordered by special order only. Made in the USA.